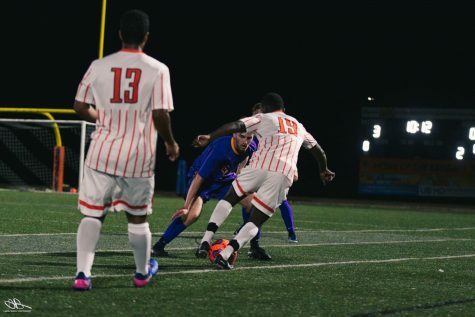 Sophomore Anthony Roncone (24) appeared in all 19 games for the Men's Soccer team last season. 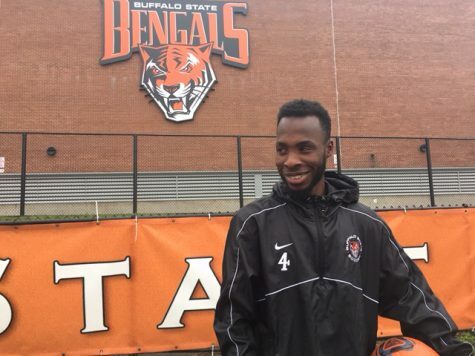 For the first time in half a decade, there will be a new head man for the Buffalo State Men’s Soccer team. 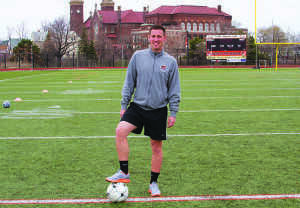 Shocking news struck the Buffalo State men’s soccer program in late July when coach Mark Howlett, who spent the past five years turning the Bengals from a one-win to a nationally ranked team, stepped down to take the same position at SUNY Geneseo due to personal reasons. Athletic Director Jerry Boyes promoted Francesco Cardillo from assistant to interim coach. 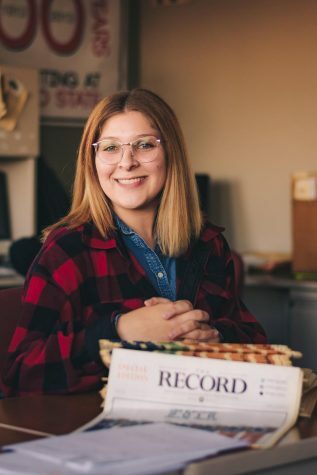 After spending a year as a top assistant to coach Nick DeMarsh on the Women’s Soccer staff, Cardillo had spent the last two seasons as an assistant to Howlett. 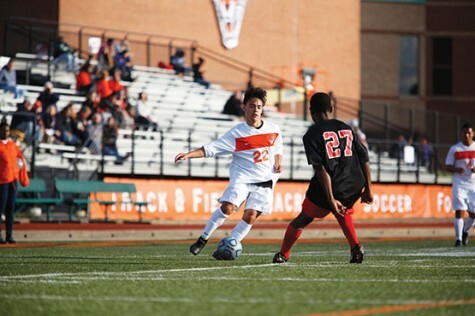 After transferring from SUNY Canton in 2013, Cardillo donned the Buffalo State kit for two years. 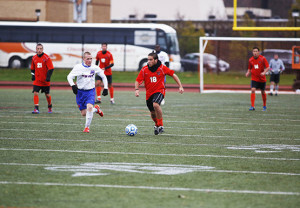 The midfielder earned All-SUNYAC honors and helped the Bengals claim 15 victories in his two seasons. The players were taken aback as well. 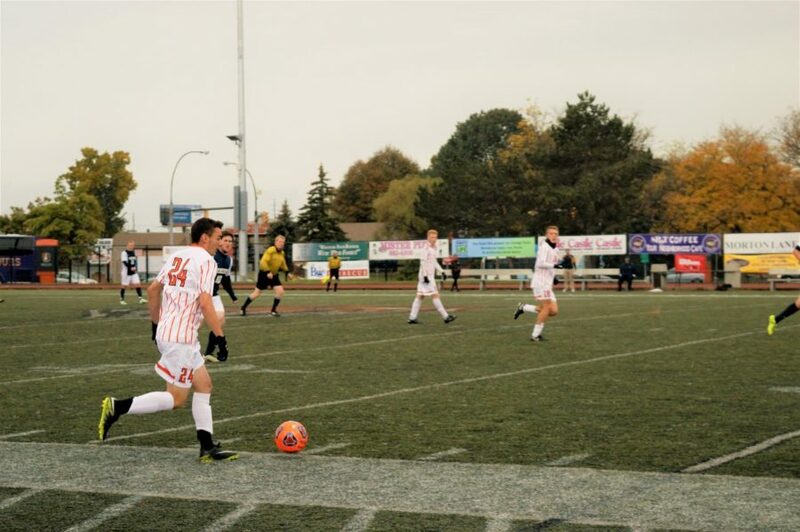 The Bengals are coming off a 14-3-3 overall record, 6-0-3 in SUNYAC play. 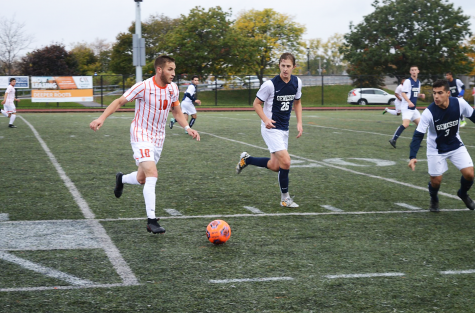 Entering the SUNYAC tournament as the third seed, the Bengals were upset at Coyer Field by the Geneseo Knights, 2-0. Their regular season record was enough to get them a berth the NCAA Tournament, for the first time in over 30 years, but fell in the first round to the Hobart Statesmen. “It was a big step for me, learning how to win games,” Finn said. “Learning how to be a winner was the biggest lesson I learned. 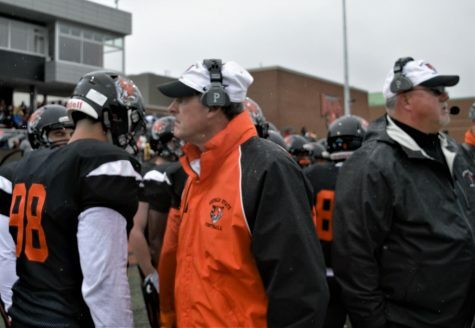 The Bengals will face their former coach when on Sep. 28 at 4 p.m. when the Howlett and the Geneseo Knights come into town. 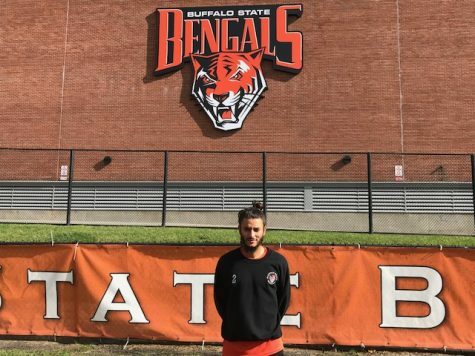 Among the expected 22 players who will put on the Buffalo State kit this year, returning players include Finn, Queen, left-back Alex DiCarlo, centre-back Robert Williamson, central midfielder Nemanja Simic, central defensive midfielder Saleman Salim, left-winger Ali Shawish, right-winger Anthony Roncone and striker Jake Ferry. 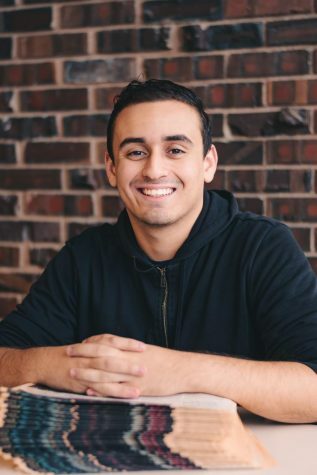 “There are a lot of guys returning who that had an impact on the team on different levels, which is always good,” Cardillo said. Of course, with a new season approaching, it means a few familiar faces depart. 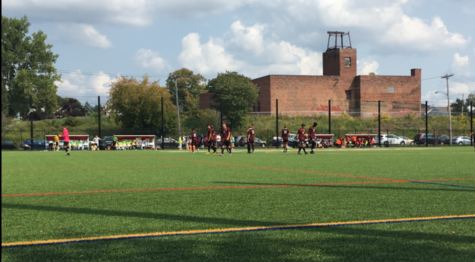 The Bengals have lost many key players including midfielders Sammy Wasson and Barak Benyehuda, left-back Devonte Black and striker Luke Pavone. That quartet amassed a combined 28 points. After the players moved in on August 16, they had a number of meetings the following day and camp started on August 18. 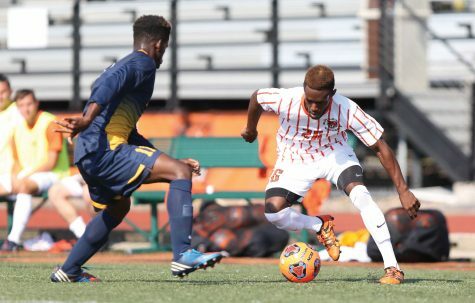 The Bengals are slated to kick the season off this weekend at Coyer Field against the Elmira Golden Eagles on Friday at 7 p.m and on the Medaille Mavericks Saturday at 7 p.m. as part of the Buffalo State Fred Hartwick Classic. They will open SUNYAC play on the road this season as they will travel to Oneonta to square off against the Red Dragons on Sep. 21 at 4 p.m. The Bengals will close out SUNYAC play at home against the Plattsburgh Cardinals on Oct. 20 at 1 p.m. and finish the regular season at Coyer Field as the Alfred Saxons make a trip to Buffalo in a non-conference matchup on Oct. 23 at 7 p.m. The SUNYAC tournament is slated to start on Oct. 27 with the conference champion being crowned on Nov. 3.